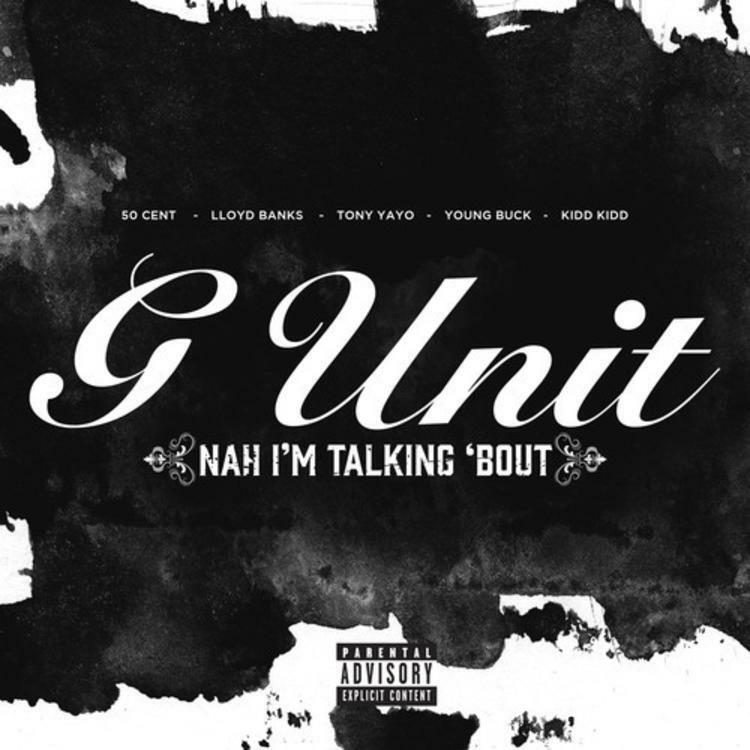 Here goes the CDQ version of G-Unit's reunion track "Nah I'm Talkin' 'Bout," a remix of "Grindin My Whole Life," featuring Kidd Kidd. 50 cent surprised everyone last night when he reunited with his estranged G-Unit crew onstage at Summer Jam 2014. Now 50 Cent, Lloyd Banks, Tony Yayo and Young Buck (and of course, Kidd Kidd) have released their first track since the reunion, which happen's to be a freestyle over Hit-Boy and HS87's "Grindin My Whole Life". Thanks to Fif, we now have the official cdq version of the record, along with a revamped title as well with "Nah, I'm Talkin' Bout". Fans can download the song for free on 50's site right here. Check out our recap of Summer Jam, and full photo gallery from the event. What do you think of the track? Do you think we can expect a new mixtape or album from the crew? And lastly, who has the best verse on this one?